More than 20 years experience of guide dogs. DISA Dogs In Service & Aid AB breeds and trains assistance dogs that help people. With great help from our puppy raisers we can provide a guide dog for a person with vision impairment or a buddy dog for a child that needs a special friend. We also educate the people who will have the assistance dog as support and help in their everyday life. Our mission is to find the right dog for each person. DISAs history. Picture shows Anettes legs and black Labrador in harness. My name is Anette Johansson and I run DISA since 1997. Educating dogs and the people behind is my life. Sponsor an assistance dog. 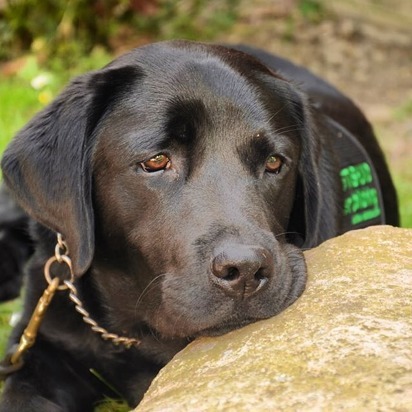 This photo shows a nice example of a calm labrador ready to work for you. You can donate or sponsor with money for an assistance dog. For that one person it means the possibility to get a dog - and a higher quality of life. It means everything. Swedish Assistance Dog Association founded in 2012. 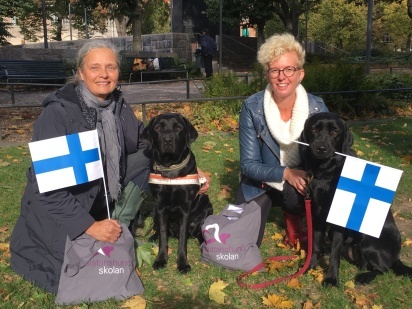 Anette (DISA) and Carin Sandersnäs (Göta Hund) on their way with some future finnish guidedogs. 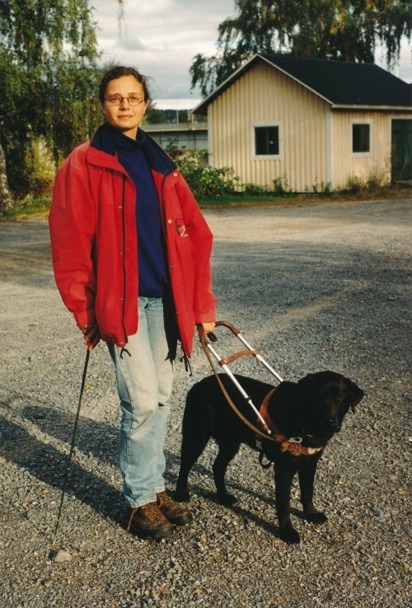 2012 Swedish Assistance Dog Association started in Sweden as a cooperation of four dog schools. We stand up for high quality in both training and education. 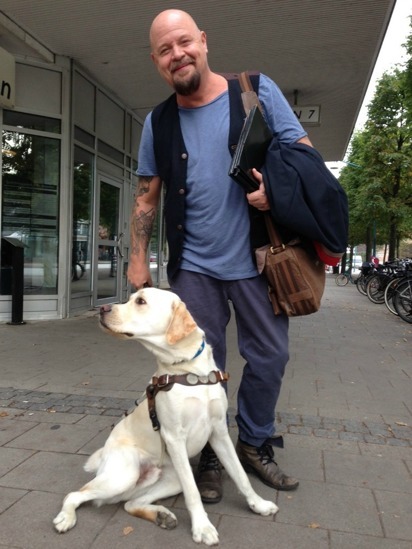 Idol jury member Anders Bagge with one of DISAs dogs. Read more news and happenings on the billboard. Photos, articles and movies from different events. Take part of DISAs everyday life and see more of our work with assistance dogs and dog training.